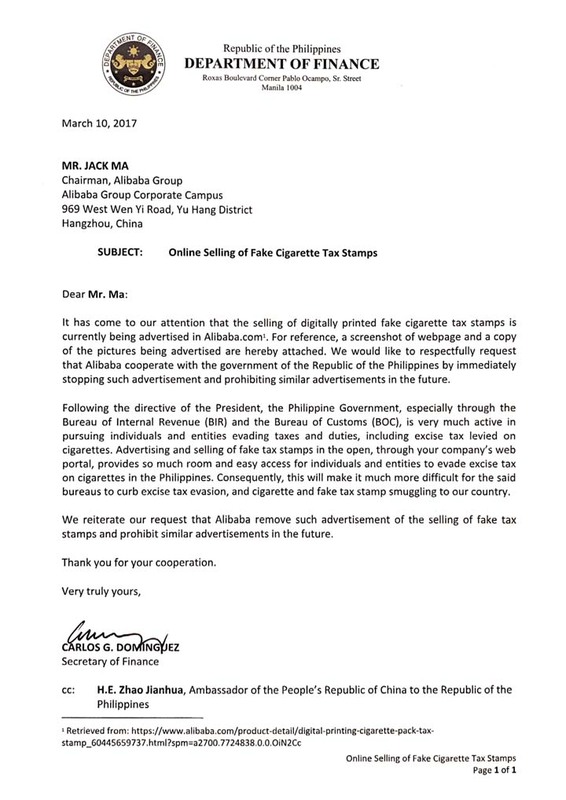 Finance Secretary Carlos “Sonny” Dominguez III wrote a letter to Jack Ma, asking the latter to remove fake Philippine tax stamps on the Alibaba website. 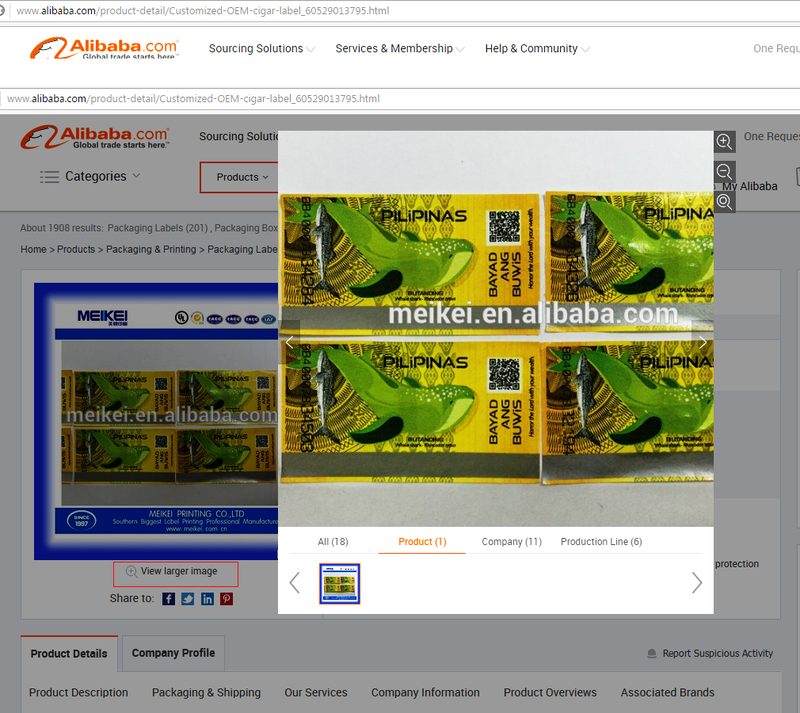 “If you go to Alibaba.com, you can see there an item [option] to buy fake Philippine cigarette stamps,” Dominguez said during a tax reform forum in Metro Manila’s Makati City on Friday. 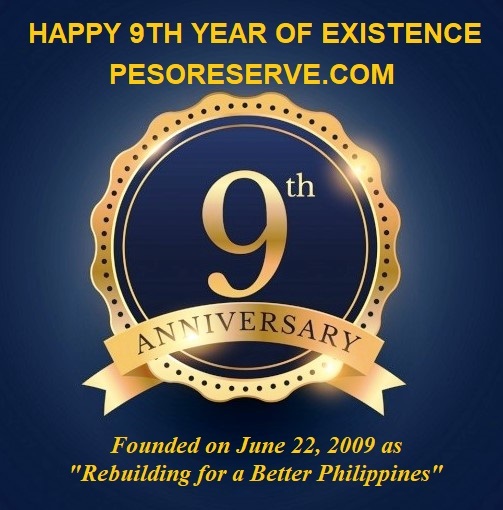 “I wrote a letter to Jack Ma to ask him to remove it from his website because that [online sale] is hurting the Philippine interests,” said Dominguez, adding he has started a campaign telling people not to buy the fake Philippine tax stamps online. The Philippine government has been investigating Alexander Wong Chu King, president of Mighty Corporation, for allegedly using fake tax stamps worth P1.5 billion (Dh109 million) to avoid paying taxes. 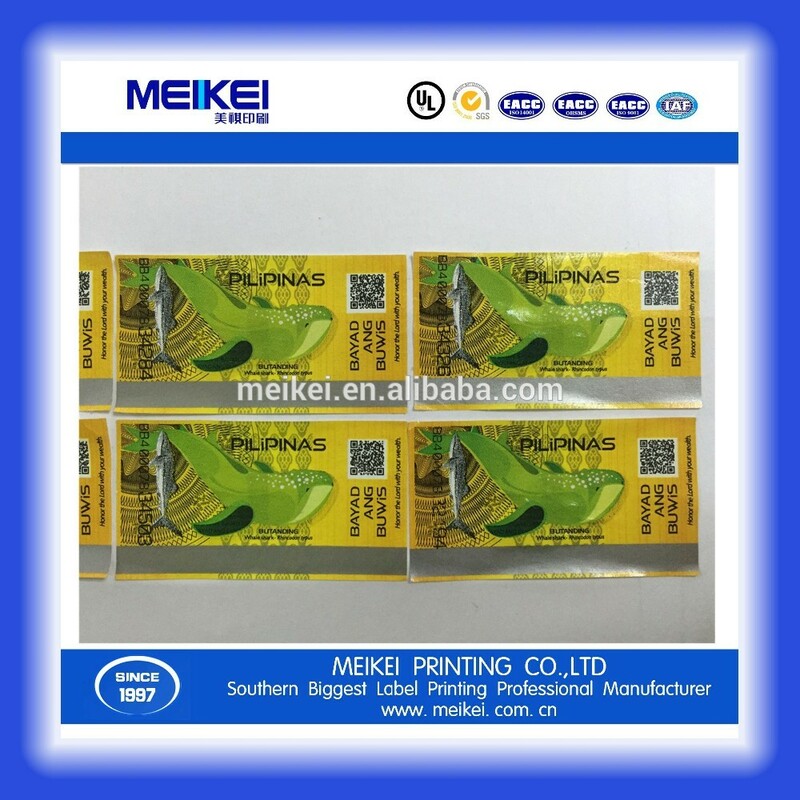 It is not yet known if he bought the fake Philippine tax stamps online or he had them printed in Manila. Dominguez asked Executive Secretary Salvador Medialdea and Justice Secretary Vitaliano Aguirre II to “move fast”for the lifting of a temporary restraining order issued by a lower court in Manila on Monday which prevented the Bureau of Customs (BOC) from raiding and inspecting the warehouses of Mighty Corporation. 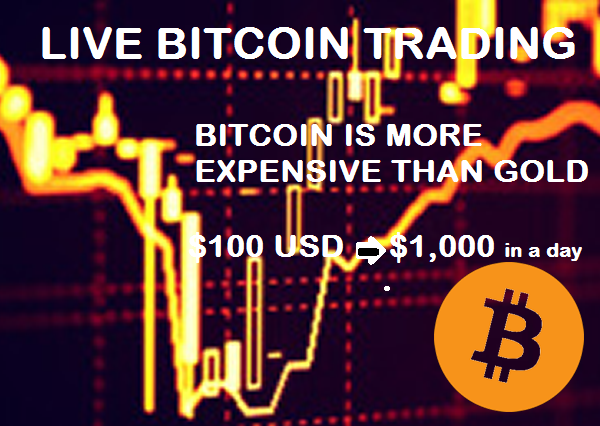 The TRO would be good for 20 days, from March 3 to 23, 2017. Packs of cigarettes with fake tax stamps were also seized from Mighty Corp’s container vans in ports in Tacloban City, central Philippines; in a warehouse in Pampanga, central Luzon; and in General Santos and Zamboanga cities in southern Philippines, the BOC said. Forged stamps found in King’s warehouse in Pampanga alone could amount to P1 billion in revenue losses for the government, said Bureau of Internal Revenue (BIR) chief Caesar Dulay. Earlier, President Rodrigo asked King to double to ₱3 billion its tax liability of ₱1.5 billion in a compromised settlement, adding the money will be used for the repair of two public hospitals in the southern Philippines and one in Metro Manila. Chief Presidential Legal Counsel Salvador Panelo, adding that King could also be charged with economic sabotage and bribery, said King sent to Duterte a package with a pile of cash. On March 7, when Duterte ordered the arrest of King, the latter met with National Bureau of Investigation (NBI) Director Dante Gierran and Justice Secretary Vitaliano Aguirre.